Seniors need to think of safety first. 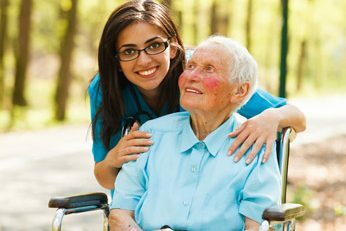 When you start to consider taking care of a parent or loved one at home, it quickly becomes clear that the environment will need to be adapted to accommodate their unique needs. You’ll start to make a checklist and should consider home safety tips from as many resources as possible. 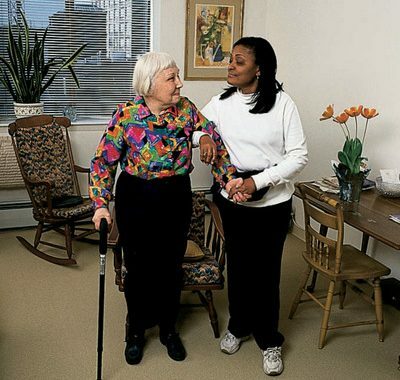 Preparing a normal home for an elderly person can be a lot of work, but it will usually help your loved one to remain at home and comfortable for longer, even if there are mobility issues or a degree of cognitive impairment. A little adaptation to their home environments and routines goes a long way toward ensuring they can remain safely in their homes, even though getting around is not as easy as it used to be. 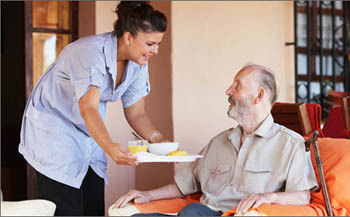 If you are a family care provider for elderly loved ones, you should spend some time observing their routines. Talk to them about any hindrances they have noticed in being able to effectively and safely provide for their own needs, and get things done around the house. Uneven thresholds, stairs, cracked sidewalks and other paths may not be safely navigable if there are mobility problems. Reaching or bending to pick up things in kitchen cupboards may be difficult. In fact, even something as simple as taking the trash to the curb may be okay in the summer but dangerous in the winter. Every routine should be reviewed to see where adaptations can be made to maintain independence or where outside help is necessary to get the tasks done safely. For home safety, handrails installed in hallways can be a great benefit even for seniors who tend to not want to use a cane or other adaptive device in the home. Grab bars are essential in bathrooms, and they can be very helpful in doorways with tricky thresholds. All stairwells should have the handrails evaluated. Some stairwells in older homes have handrails that are not up to modern code requirements for safety. Handrails should be positioned so they may be solidly gripped before the first step is taken. There are floor surface treatments to reduce the chance of slip-and-fall accidents. Bathroom tile and shower/bathtub surfaces can be treated. Floor surface transitions are a prime area for slip-and-fall accidents, especially just inside exterior doorways where your loved one’s wet shoes can come in contact with a slippery floor. Transitions from carpeting to smooth flooring are also risky areas. The trim that covers the transition joint can catch the toe of a shoe and cause a fall. Lighting that is always on and grab rails can be helpful in these areas. Observe foot placement as your loved one navigates around the home. Just moving a piece of furniture a couple of inches sometimes eliminates a trip hazard. Clutter should be completely removed. Books, magazines and newspapers are a trip-and-slip hazard. Unfortunately, a beloved cat or dog is often the cause of falls for seniors living at home. The good news is that even most pets can be successfully trained to stay out from underfoot. Pill boxes and timers set to alarm at medication time help seniors to not forget to take their meds. A strict routine is best when it comes to medications. Even a notepad to write down medications taken along with the time and date is helpful. It is too easy for anyone, not just seniors, to forget whether a pill was taken when you just pop one out of the prescription bottle. Pill boxes give a visual cue, and writing it down, though more tedious, lets you know for sure. Ramps and rails may need to be installed outdoors. You may need to relocate the garbage cans, replace them with ones with sturdy wheels, or you may need to arrange for the trash to be taken to the curb and the cans returned to the house each week. Rural mail delivery is usually to a mailbox at the road’s edge without another option. Sometimes, the mailbox is across the road. For seniors with mobility issues or cognitive impairment still living at home, the post office may consider hardship mail delivery options to get the mail delivered to the door. This is considered by the local postmaster on a case-by-case basis. Cell phones are great, and seniors should own a phone they are comfortable using. However, even the most mobile of cellular phones are often left in purses or on tables in the home. A landline should be installed with hardwired and wireless handsets strategically placed throughout the home, even in bathrooms. Medical alert devices are also helpful, especially models that permit two-way communication from the alert pendant, which have built-in GPS locating capability and operate over cellular networks to function at and away from home. Cooking can be a real problem for some seniors. Mom’s best recipes have always been for more than one, and Dad may never have learned how to cook a nutritious meal. Fortunately, there are many commercially prepared meals that are nutritious and can easily be prepared in a microwave oven. This can also be a safety benefit for forgetful seniors who may leave something simmering on the stove. Fresh fruits and salads are also available in single-serve portions. They cost a little more, but this option encourages healthy eating and cuts down on waste. We recently wrote a full article on suitable nutrition for seniors that can help inform your decisions in this area. 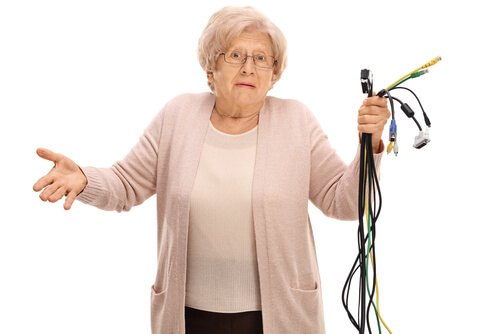 There are an infinite amount of home safety tips for seniors that can be implemented. The key is to take a full inventory of physical abilities and present cognitive abilities first. The goal should be to provide independent living for as long as safely possible. Even a few minor adaptations to the environment and routines can make a big difference in your loved one’s safety at home. If you are unsure of how to go about doing a home safety check, contact a homecare provider in your area to set up an inspection today. 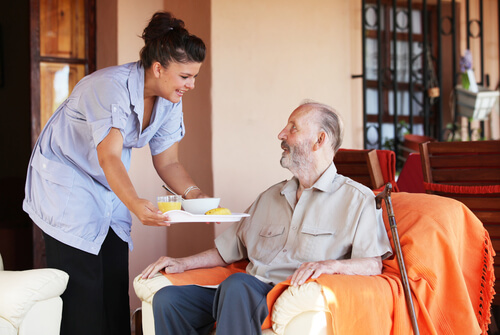 What is home care? previous post: Elderly Parents Don’t Want to Move. They Want to Stay at Home Instead.